Merry Christmas! 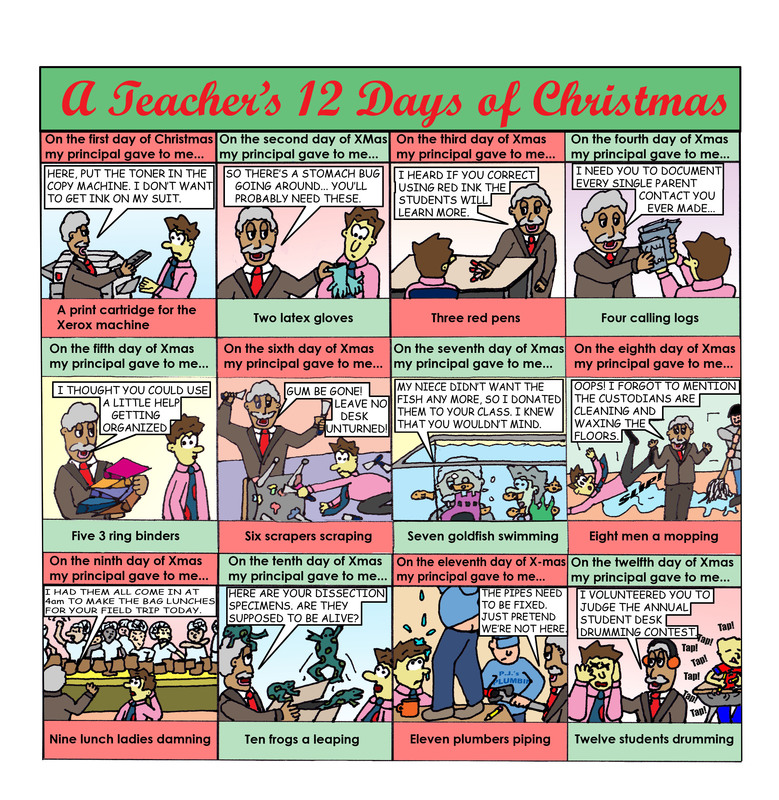 Enjoy this 12 days of Christmas teacher comic. Click on the image to enlarge and zoom in on it. I hope all have a safe and wonderful holiday break.